Since I just moved recently, the majority of wall space in my apartment is still devoid of color- an uninspiring white. Unfortunately, my lease dictates that I'm not allowed to paint... booooo... if you rent too, you probably can relate. 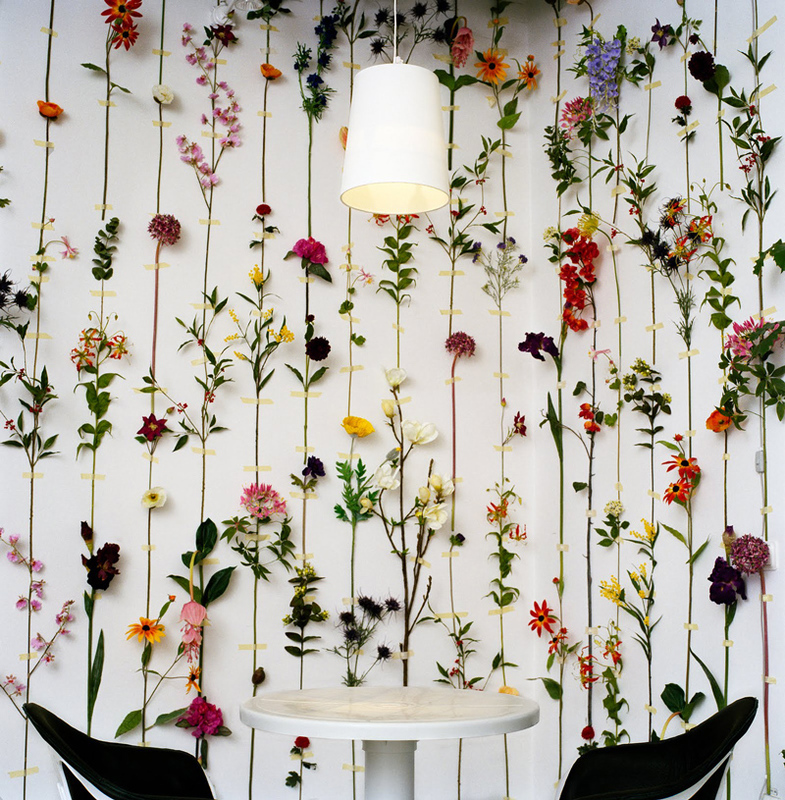 So instead of buying a hundred pieces of art, I'm toying with the idea of hanging silk flowers on a wall with masking tape (as pictured above) for a super easy DIY flower wall. Stores such as Jo-Anne Crafts, Michaels and the local dollar store have these faux flowers for uber cheap. That said, this project won't cost much as long as the chosen wall isn't huge. What do you think of the look: yay or nay? Should I try this at home, kids? Leave your comments below. that's such a beautiful and creative idea, love. thanks for the encouragement, ladies... Okay... I need to go hunt for these flowers at some point this weekend! What a lovely idea! thanks for posting this!